Governor Greg Abbott has announced his pick to replace Justice Don Willett on the Texas Supreme Court. Abbott announced on Monday that he plans to Jimmy Blacklock, the general counsel to the Texas governor, to replace Justice Don Willett on the Texas Supreme Court Place 2. Willett has been nominated by President Donald Trump to fill a vacant seat on the 5th U.S. Circuit Court of Appeals and is expecting to be confirmed by the U.S. Senate in the coming weeks. The Governor's plans to appoint Blacklock were announced during yesterday's press conference in Austin. Abbott called Blacklock a justice with a "conservative political philosophy" and promised that Blacklock will not legislate from the bench. "Jimmy knows that the role of the judicial branch of government is not to legislate or advocate from the bench," Abbott said during the press conference. "Instead it is to apply the text of the law as it was enacted by the people's elected representatives." If appointed, Blacklock will take a seat that is up for re-election in 2018. Following the announcement that Governor Abbott plans to appoint Blacklock to the bench, Rick Green, a former state representative, announced that he planned to withdraw from the race for Willett's open spot, calling Blacklock's appointment a "win-win." Democrat Steven Kirkland, a south Texas district judge, is planning to run for the spot in 2018. 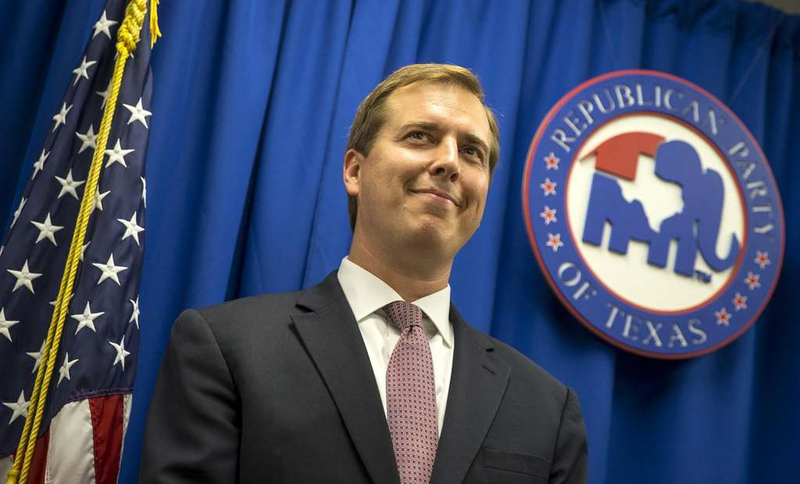 Blacklock will now await the Senate's confirmation of Justice Willett before taking office on the Texas Supreme Court.